Ok, now this little ‘baby’ Dyson beauty is geared towards allergy sufferers and it definitely lives up to its standard, but it’s not just for allergy sufferers! 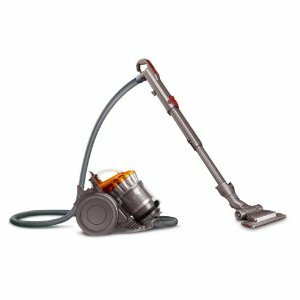 This model is noticeably heavier than other Dyson models and weighs around the 10kg mark. With this model comes Dyson’s famous Root Cyclone technology, which separates dust particles uber fast, ensuring suction is always powerful. The British Allergy Foundation gives this model the thumbs up and it’s not hard to see why. – Durable and tough material, making this model very reliable. – Tools stored on board the product. – Ability to vary the suction (maybe you want less power when cleaning curtains for example). – One button to empty bin container. – Mini flat out head, enabling ease of use across multiple floor surfaces. – Wrap around hose for easy storage. – No need to purchase dust bags and filters, saving you money in the long run. The HEPA filter lasts a lifetime and is perfect for allergy sufferers. – Quiet noise compared to other models of this size. – Easy to store due to its small size. – Great for users who need to move around a two or three storey home. – Slightly small bin container for some users. 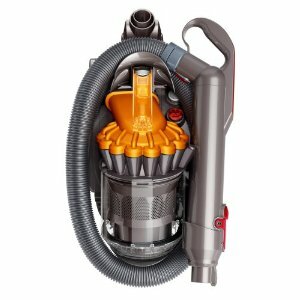 How does the Dyson DC22 compare to other lightweight vacuum cleaners? My friend owns this model and I’m tempted to buy one, too, as it’s just so cute! 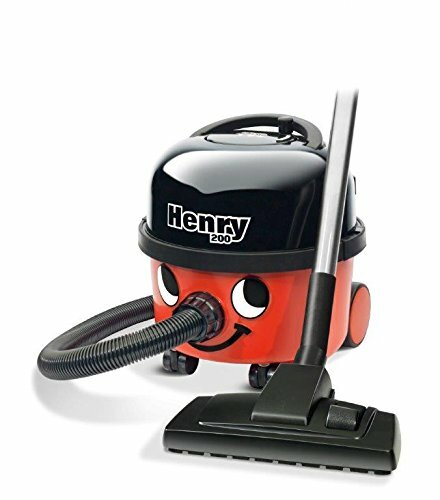 It’s so lightweight and the most attractive little hoover!